For discovery of the gene associated with a major form of Muscular Dystrophy. Dr. Kunkel is an internationally recognized geneticist with years of experience and scientific success in the understanding of the basis for muscular dystrophies. He received a B.A. from Gettysburg College and his Ph.D. from Johns Hopkins University. Over the past three decades Dr. Kunkel has devoted his career to understanding the molecular basis, and developing therapy, for neuromuscular disorders. Dr. Kunkel is universally recognized for the discovery of the genes responsible for muscular dystrophy and other neuromuscular disorders. He has been involved in the identification of genes altered to cause muscular dystrophy since his 1986 identification of dystrophin as the causative gene in Duchenne muscular dystrophy. This discovery led to the identification of the dystrophin protein, a key member of a membrane complex of proteins. This work led to improved diagnosis of the muscular dystrophies and rational approaches to therapy. His current work centers on developing dystrophin independent therapies for Duchenne muscular dystrophy to complement existing therapies such as exon skipping currently in development. 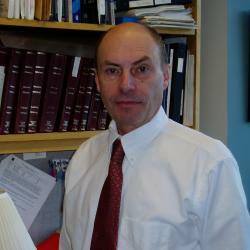 A past Howard Hughes investigator and member of the National Academy of Sciences, Dr. Kunkel has received numerous awards for his work including the Gairdner Foundation Award, the Welcome Foundation Medal from the Royal Society, the E. Mead Johnson Award, and recently the 2009 March of Dimes Prize in Developmental Biology for this pioneering work on muscular dystrophy. He leads a research laboratory in a long-standing effort to develop novel therapies. Dr. Kunkel currently is a Professor of Pediatrics and Genetics at Children’s Hospital and Harvard Medical School, Boston. He is also Director of the Sequencing/Genotyping, Expression Array and FACS Sorting Core Facilities at Children’s Hospital Boston.